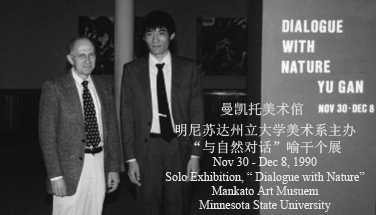 The "Dow Moments" by Gan Yu has invited to The Sixth International Invitational Biennale in Jun, 2014 and won the Prize of Excellence. 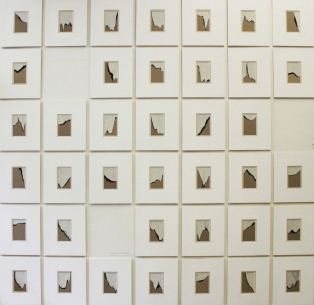 This piece contains 39 individual works, which recorded the actual footprints of the Dow movements at various particular moments during the time of 2010 -2011. 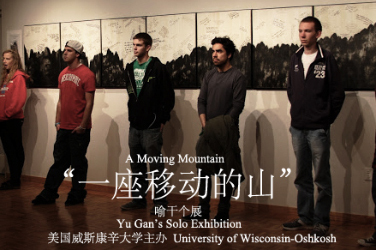 Formerly, 45 pieces from this series have been exhibited in Gan Yu’s Solo Exhibition “A Moving Mountain” at the University of Wisconsin-Oshkosh Art Gallery in September 2012, and 30 pieces from this series have been exhibited at Ethan Cohen Fine Arts, New York in March – April, 2012. 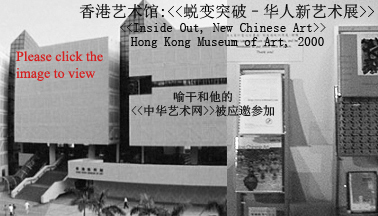 .....ART ASIA Miami 2012, the premier International Asian art fair, opened on December 4th and successfully concluded its fifth edition on December 9th, 2012 with strong sales and attendance. 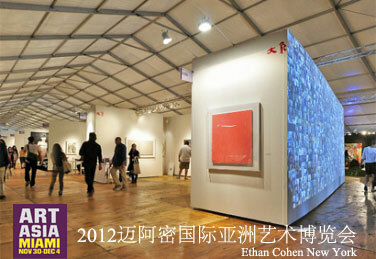 ART ASIA attracted over 35,000 visitors and VIP guests all through its six-day run. 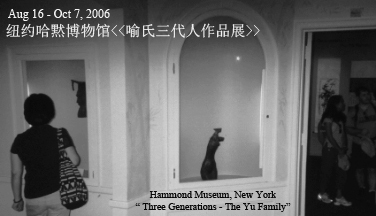 With impressive international newcomer galleries .....joining, it was an exceptional showcase of art from diverse Asian regions with an emphasis on Near Eastern, Middle Eastern, and South East Asian artists. 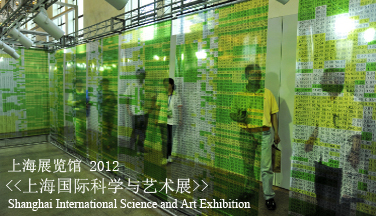 2012年5月上海展览馆<<上海国际科学与艺术展>.> "Shanghai International Science and Art Exhibition"
Installation Art <<A Trading System>> has been awarded A Prize of Excellence at "Shanghai International Science and Art Exhibition" in May, 2012. " Like an electrocardiograph for the U.S. economy, the trading system registers investor behavior, disposition, and sentiments using numbers and colors. 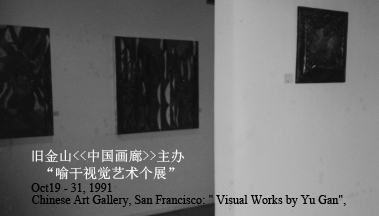 I think this presents a new avenue of expression for abstract art...I realize that financial markets are in fact the world's largest piece of group action art, perpetually creating unique patterns every day. " 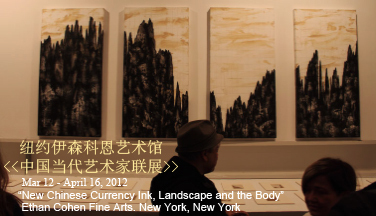 .2012年3月-4月纽约科恩艺术中心"中国当代艺术家联展" / Ethan Cohen Fine Arts: "The New ChineseCurrency - Ink, Landscape and The Body"
Mar 12 - April 16, 2012. 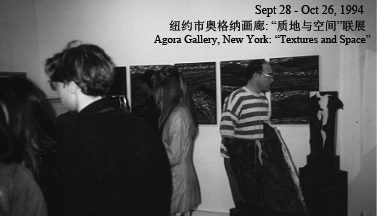 Ethan Cohen Fine Arts Exhibition: "The New ChineseCurrency - Ink, Landscape and The Body" Curated by Ethan Cohen and Koan Jeff Baysa. 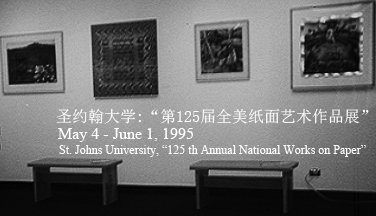 Artists: Huang Yan, Qin Feng, Bai Yiluo, Zhang Dali, Da Xiang, Zhang Zhaohui, Yu Gan. 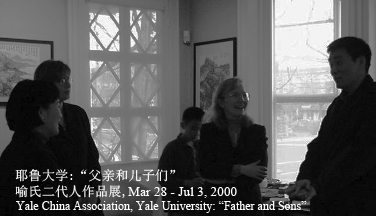 抱歉，此页正在建设之中. 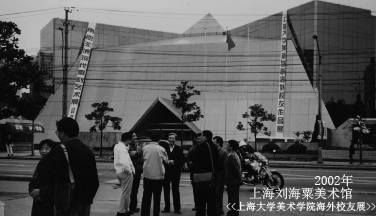 Sorry, this page is under construction. It will be available soon.